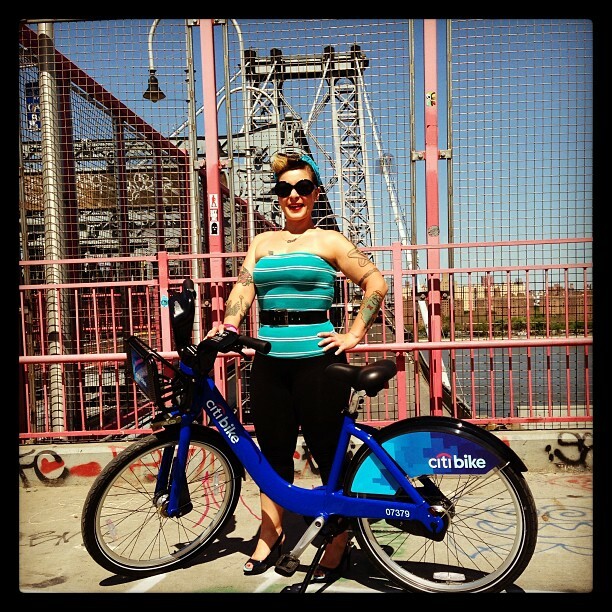 By the numbers, Citibike launched with 6050 trips, an average of 20.48 minutes, and 13,768 miles traveled. That’s remarkable and the type of riding we experienced in Paris with Velib. Sure the bikes are crap, but who cares!? Cause you ride from station to station and drop them off and then get another. They’re truly utility bikes. Expect a bike boom too, as I found in my trips to Taipei and talked about that in a Huggacast. After installing a network of bike lanes, stalls showed up vending goods, then restaurants, shopping districts, and now brides pose on them for their photo books. It was on the subway that I realized that I had just used a new form of city transport, one that’s perfectly suited for NY. I encountered a few other riders on my way. There’s a Zero Day kind of feel to it. People seem excited. The bikes are nice. And there are enough bike lanes to get around. And despite all the complaining, what was expected. On #citibike, the last time I saw this much positive press for the bike was when @lancearmstrong was winning the Tour.